We are a small, home-from-home style preschool for children aged between 2½ and 5 years, bringing imagination, fun and exploration to all our children. From nature walks to parachute games, insect searches to bear hunts, we've got so much for everyone to enjoy! 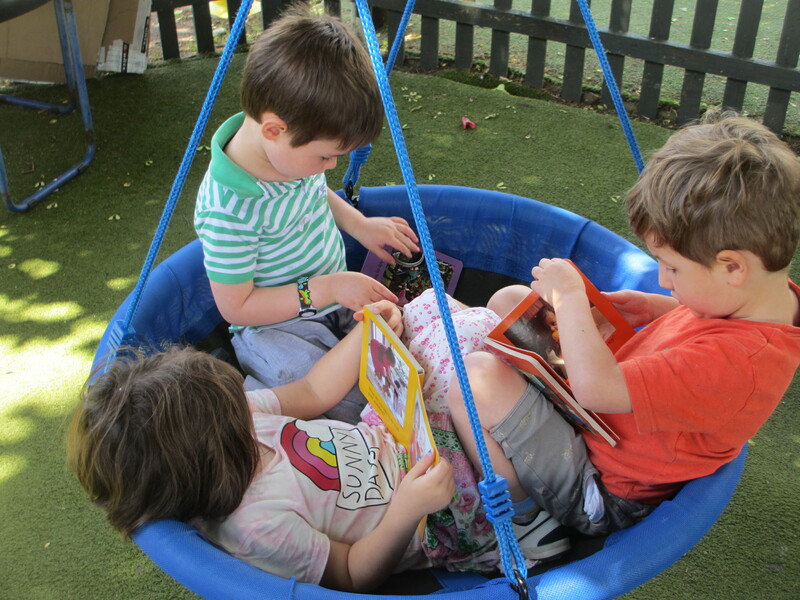 We have a variety of sessions available, meaning that your child can attend our playschool at suitable times. We welcome enquiries at any time. Get in touch with us to find out about session availablity, organise a visit or discuss your childs needs. Our daughter had the most wonderful time at Ketton Playschool. Each day was full of fun! The staff members are unbelievably amazing and our daughter loved them all – we were all so sad on her last day. We will never forget the amazing experiences she had here – she met the queen! She tasted a wide and varied amount of foods (frog’s legs! at least maybe..) She learnt about fish guts (nothing has ever caught her imagination more!) The staff have an incredible sense of humour and creativity which makes learning FUN! She learnt alot – able to speak many french words, knew her ABC’s and was able to read and spell most 3 letter words, which has set her up perfectly for big school and is all thanks to, what I believe, is the best playschool ever. If you want the best for your child, it’s here! Mrs S 2018. My two daughters attended Ketton Playschool and they both looked forward to every day they spent there. The affection between the staff and the children is clear to see and that gave me the reassurance that they would have a nice day. The days are obviously packed full with lots of structured activities – inside and outside – and the girls always came home with hand-made treasures and new songs to sing. My daughter loved her time at Ketton Playschool. She learnt so much and made many friends with both children and staff. We had a long commute to get there but this Playschool is well worth it! My children constantly surprised me with unprompted demonstrations of what they had learnt at Playschool including reading three letter words, counting beautifully and naming colours in French – “what is purple in French again Mummy?”! It has been sad to leave Ketton Playschool but both my girls left happy, confident and excited about starting primary school.